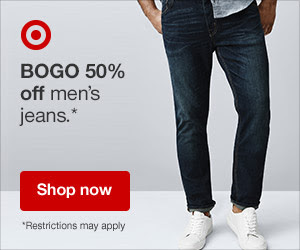 Head on over to Target.com to Buy One Get One 50% off Men's Denim on sale this week. Perfect time to get some new jeans for fall. There are several styles and brands to choose from starting as low as $16.99.